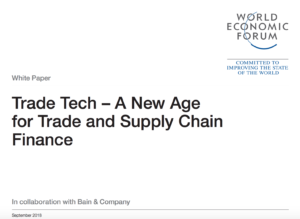 Distributed ledger technologies (DLT) are set to play a critical role in reducing the worldwide trade finance gap, lowering barriers and improving processes, according to a new study by the World Economic Forum (WEF) and Bain & Company titled Trade Tech – A New Age for Trade and Supply Chain Finance. International trade and global value chains are critical for both the wealth of nations and the reduction of geopolitical tensions. Yet, archaic processes are posing a major obstacle for small and medium-sized enterprises (SMEs) and trade with emerging markets. Applying smart tools and technologies to transform paper-based documentation into electronic formats can help reduce trade barriers and improve processing times at borders, particularly for small businesses and companies in higher risk developing countries. 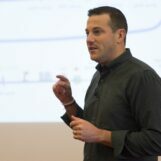 The whitepaper, which provides an overview of trade and supply chain finance and a snapshot of the status of technological developments in the field, suggests that SMEs in emerging markets, primarily in Asia, would benefit most from blockchain implementation, showing the potential of the technology beyond developed market and large corporations. These are suffering the most from a lack of access to credit and have ample room to grow trade. 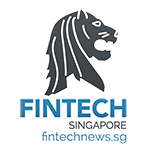 “Implementing blockchain-based solutions can eventually do more for SMEs in emerging markets than removing tariffs or closing trade deals,” said Wolfgang Lehmacher, head of supply chain and transport industry at WEF. If DLT solutions are implemented globally, US$1 trillion in new trade could take place, offsetting an otherwise growing “trade finance gap,” set to reach US$2.4 trillion by 2025, according to the Asian Development Bank. 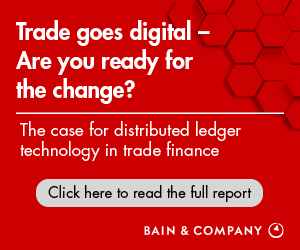 Bain & Company estimates that DLT, if adopted the right way by all participants in the trade ecosystem, could reduce trade finance operating costs by 50-70% and improve turnaround times three- to fourfold, depending on the trade finance product involved. Gerry Mattios, expert vice-president at Bain & Company and a key contributor to the study, said that the benefits of adopting DLT in trade will affect every participant from banks to companies to governments to consumers, but noted that in order to realize the full potential of DLT, actions must be taken in a collaborative way and with an ecosystem approach in mind. Trade financing issues are especially impacting Asian economies, including ASEAN, China and Hong Kong, India and South Korea. These account for almost three-quarters of total documentary for import-export transactions and accounts for almost 7% of the trade finance gap, or US$105 billion. 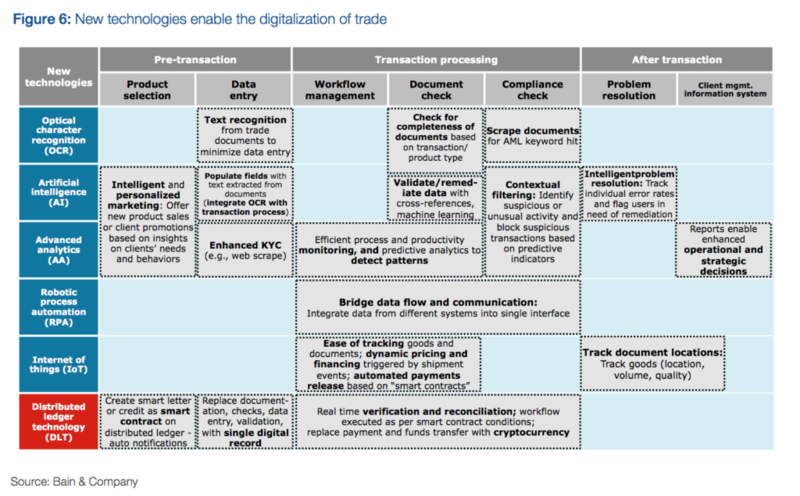 According to the report, DLT is well suited to eliminating some of the inefficiencies in trade and supply chains through features that include faster credit risk assessment from the transaction history, minimized human error in document checks, instant verification and reconciliation of records, automatic execution of workflow steps through smart contracts, and instant, secure and low-cost exchange of data. Last year, Banco Bilbao Vizcaya Argentaria (BBVA) successfully piloted a blockchain solution for paperless trade transactions between Europe and Latin America. The trial saw the time taken for document verification reduced from 7-10 days to 2.5 hours. The pilot was run on a sale transaction in which Spain-based Frime bought 25 tons of frozen tuna from Pinsa Congelados of Mexico. The payment was made using a letter of credit issued by BBVA in Spain and processed by Bancomer in Mexico. But most importantly, DLT has the potential to “truly revolutionize trade” when applied in conjunction with other technologies including advanced analytics, the Internet-of-Things (IoT), artificial intelligence (AI) and virtual assistants, the report claims. In 2016, Commonwealth Bank of Australia (Commonwealth Bank), Wells Fargo and Brighann Cotton undertook the first global trade transaction between two independent banks combining blockchain, smart contracts and IoT. The transaction involved a shipment of cotton from Texas, USA to Qingdao, China. IoT sensors allowed the banks to monitor the shipment’s route, triggering the smart contract to release payment for the cotton once it crossed a predefined location. The study on the potential of DLT on trade finance follows the release of another research paper focusing on the importance of digital technologies in the future of ASEAN economies. The report, titled Advancing Towards ASEAN Digital Integration, surveyed over 2,300 SMEs across all 10 ASEAN member states and found that harnessing the collective power of the region’s digital economies could accelerate intra-regional trade and growth, and stimulate a GDP uplift of US$1 trillion across ASEAN by 2025. Featured image: Cargo containers, Pixabay.